Can your Posture Overnight Affect the Quality of your Sleep and Health? Do you sleep on your back, your side or your stomach? What’s the difference? Well, the jury is still out on which is the best sleeping position, but most experts will say to go with the flow. That means, we are naturally inclined to lie a certain way in bed and it is better not to interrupt our natural sleeping pattern. That can, however, shift with age and health issues. We don’t usually stay in one position throughout the night so it’s normal to expect to wake up in a different position from that which you started in. According to Traditional Chinese Medicine, our posture is important for qi and blood circulation not only when we are standing, sitting and walking but also when we are asleep. The ideal position lying down will keep the spine in alignment, take pressure off muscles and bones and enable qi to flow smoothly. Here is some advice if you are not sure which sleeping position is best for you. A relatively hard bed is important to keep the spine straight. If it is too soft, there won’t be enough support to prevent possible spinal problems, especially in the 18 and younger who still have growth spurts. Use a pillow to keep your neck raised in the appropriate position. 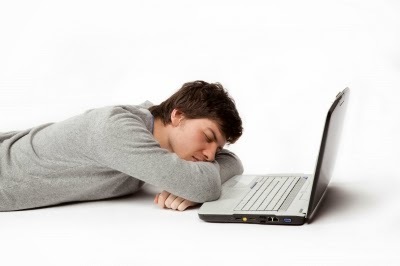 If you sit at the computer all day with your head down, then make sure you bend your neck into a raised position if you sleep on your side, and use a pillow if on your back. Changing your sleeping position overnight will help prevent fatigue, circulate qi and minimize pressure on the spine and muscles of the body. So don’t worry if you are already a restless sleeper. Sleeping on your back will relax your organs but can put pressure on the spine and cause breathing difficulties and snoring. If you sleep on your chest, this will help you breathe more easily and expel excess mucus from the lungs if you have respiratory problems. However, chest sleeping causes pressure on the chest and heart, making it an unsuitable position for people with heart problems or high blood pressure. It also can strain and even damage neck muscles long-term. Sleeping on your side with bent knees relaxes muscles and allows blood and qi to circulate more freely. However, having all of your body weight pressing down on one side throughout the night every night may result in blood and energy stagnation. Sleeping on your right side is recommended in general. as it puts less pressure on heart and stomach and enables smoother digestion, elimination and qi flow. Avoid sleeping on the left side if you suffer from heart disease, gallstones or digestive problems. The right side is the preferred position. Avoid sleeping on your side if you have emphysema. Instead, sleep on your back with a pillow placed to raise your head adequately for easier breathing. If you have high blood pressure, sleep partly on the right side with the head raised. Raise your leg(s) on a pillow if you suffer from edema. If you suffer from backache, sleep on your side with pillows under thighs, knees etc to keep your spine straight and in alignment. Women in late pregnancy should sleep on the left side to reduce pressure on arteries and ensure an adequate blood supply to the uterus.